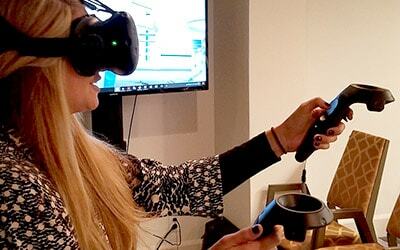 When Skytron selected Powertrak 3D Product Configurator in 2015, virtual reality (VR) was merely a gaming product. Even today, VR is considered a relatively new application to the business world. But industry analysts are projecting VR to boom in the next three years. In the fall of 2016, Skytron adopted Powertrak VRoom, Axonom's virtual reality mobile showroom, to help its sales professionals and dealers educate and present how Skytron medical solutions (booms, lights, tables, etc.) fit and work in various healthcare environments. After showcasing VR at a few shows, I sought feedback from our first Powertrak VRoom customer. 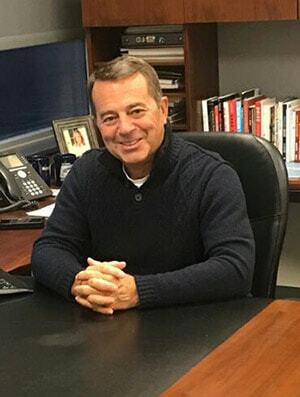 I spoke with Skytron President and CFO, Craig Wassenaar, about the value of trade shows to their business, how virtual reality has impacted their message, and the response from dealers and prospective customers. 1. What does Skytron manufacture and how do you sell it? Skytron delivers solutions for healthcare providers that deliver better utilization of care givers, facilities and capital. To develop complete solutions, we span both the complete design, development and manufacturing, to distributing products on behalf of OEM manufacturers. We work closely with local distributors who typically have an exclusive geographic territory, and handle our larger IDN customers with more central contact and services. With partnerships on the product and distribution that have lasted over 40 years in some cases, we believe strongly in close partnerships and make decisions with an eye to the long term. 2. How significant of a role are trade shows to your business? Skytron participates in a number of trade shows each year in order to introduce new products, building existing and creating new relationships, and to express our brand in a way that resonates with our customers. Each show has their own participant demographic and market focus, so we typically choose those that offer us the best chance to share our solutions with those most likely to need them. 3. What challenges have you experienced at trade shows? Our challenges at trade shows are often centered around how we deliver value for the attendees by telling our story in a way that shows how we’re helping to solve a problem that is important to them. As products become more technology vs. just electro-mechanical, new methods of communicating the process and customer experience have emerged. We’re seeing more things like video, animations, and virtual reality as ways to share complex ideas quickly and accurately. This application of technology supports sharing a much larger story and lets us move beyond concerns about booth size or how much equipment we can fit in the space. 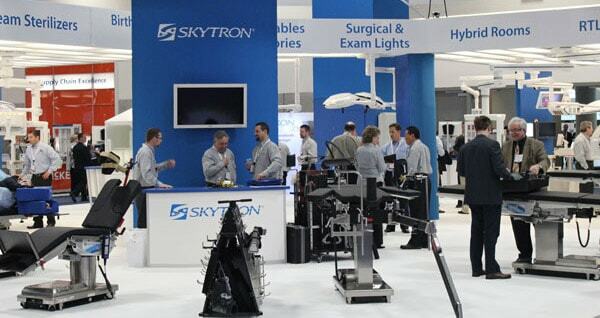 Skytron Showcases Medical Products at AORN. *Image Rights Belong to Skytron, LLC. 4. How has Powertrak VRoom (virtual reality) solved those challenges? We have employed our Skytron 4D system, powered by Powertrak VRoom, at two recent trade shows and our National Sales Meeting. In each case it proved most valuable to those involved in Operating Room design, such as Architects, Equipment Planners, Construction Management firms and the OR Team members themselves. The ability to experience the spatial relationships and easily try different locations of equipment placement in an OR helps build confidence in the final design before anything is ever put into a final specification. This saves time and money, and contributes to a functional, high performance design. 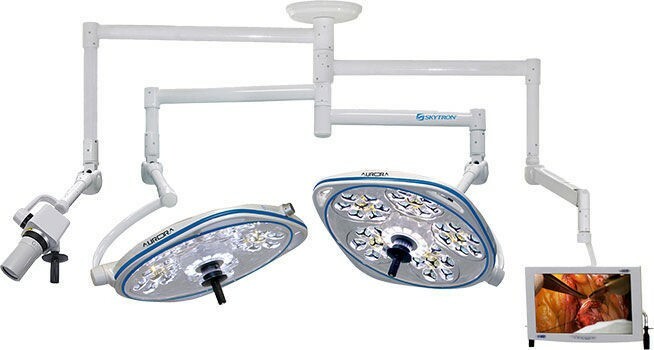 Combining this technology with our OR Design experts can really deliver a setting that increases the ability of the OR Team to deliver their best performance, to utilize the equipment in the room to the highest level, and to employ capital in the most efficient way possible. 5. What has been the reaction from your customers and dealers so far? The reaction we have seen, again from those most directly involved in the design and final decision making of OR design, has been strongly positive. During ACE Summit, we found the response to be a sense that by offering this capability we can reduce the risk involved in designing a complex environment that simply must support the caregivers to do their best work. The system works well, is reasonably easy to learn how to use, and has proven to provide an accurate sense of what a real environment will be like for users. These are critical factors, and so far have proven to be on the mark. 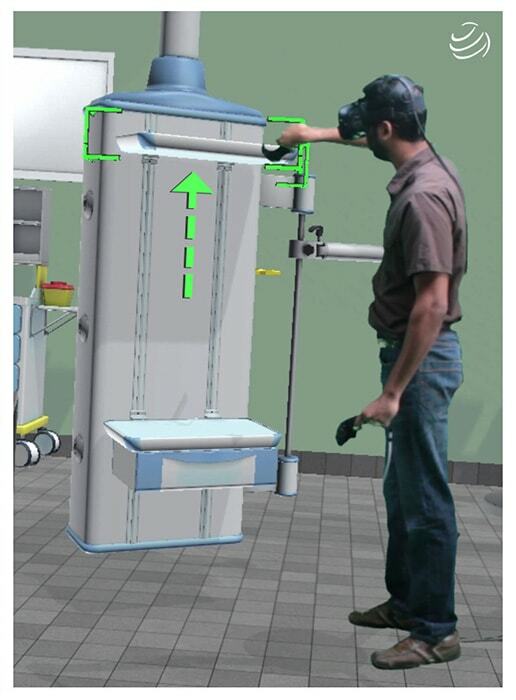 For those who want to learn more about Skytron's investment in Powertrak 3D Product Configurator and VRoom, read the case study here - Visually Design Healthcare Environments with Skytron Products. If you're interested in experiencing the Skytron 4D system, here's a list of the company's upcoming events/trade shows schedule. Anyone interested in leveraging Powertrak VRoom for their business should contact Axonom for a demonstration, and ask about pricing and project requirements.